Today is Forged Friday at New Species CrossFit. On this day let us be mindful of all that our U.S. Military and First Responders do to keep us safe and free. Please use your best mental and physical effort in order to bring special honor to; Army 1st Lieutenant Ashley I. White, died October 22, 2011 serving during Operation Enduring Freedom. 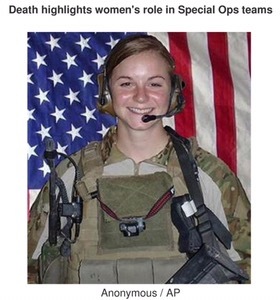 24 years of age of Alliance, Ohio; assigned to 230th Brigade Support Battalion, 30th Heavy Brigade Combat Team, North Carolina National Guard, Goldsboro, N.C.; died Oct. 22 in the Zhari district of Kandahar province, Afghanistan, of wounds suffered when enemy forces attacked her unit with an improvised explosive device. Please keep this Hero in your heart and on your mind as you train today. Always support our Troops and First Responders. God Bless America!